Album launch celebrating the release of the first album from the duo of Paula Rae Gibson and Kit Downes, who will be performing live with special guests. Their performance will be preceded by a performance by VYNAMANIKAL [Tom Challenger/Kit Downes] and a solo electronics set from Alex Bonney. 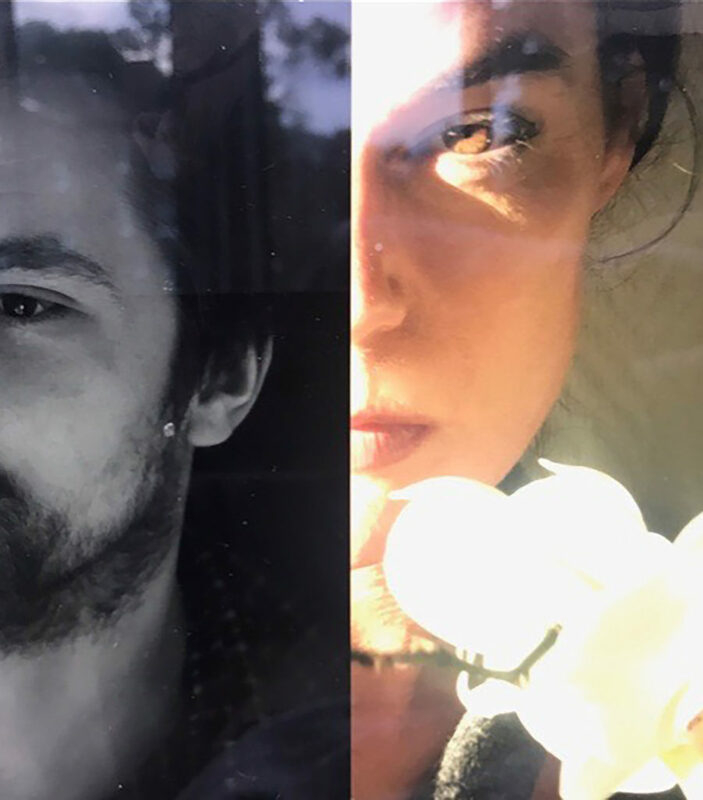 Emotion Machine is the first collaboration between Paula Rae Gibson, a prolific artist renowned for her photography, lyricism and ethereal vocal work, and highly acclaimed composer and pianist Kit Downes. Downes’ minimal, abstract arrangements of sombre piano meditations and Arthur Russell-esque cello experimentation blend with Gibson’s idiosyncratic vocals to create a sense of emotional urgency – a raw, distressing honesty is prevalent throughout the album. Drawing inspiration from Delta Blues, Icelandic Art Rock and Early Music, the sonic world created is both inviting and menacing, giving the perfect template for Gibson’s lyrics of love, loss and the various fuels of the Emotion Machine. This is the fifth album from Paula Rae Gibson; having previously collaborated with Will Gregory of Goldfrapp, and well known figures in the jazz world such as Ivo Neame and Martyn Baker. Paula has approached music with the bold expressiveness that her photography is known for, ranging from bossa-inspired jazz pieces to free form experimentation. On Emotion Machine a new level of sonic abstraction is achieved; casting aside the more traditional jazz structure her earlier work had been based around, dissonant drones and ominous sound design cast a spectre over this album. Space is left for expressions to linger, in what is clearly Gibson’s most abstract work to date. Most of the instrumentation on the album is the work of Kit Downes; a London based composer, pianist and organist who has worked with the likes of Squarepusher, Seb Rochford and Aidan O’Rourke. A BBC Jazz Award winning, Mercury Music Award nominated solo recording artist for ECM Records, Downes’ reputation speaks for itself – this recording marks his first journey into production, and a return to his childhood instruments; the piano and cello. The blending of his instrumentation with the abstracted arrangement of Gibson’s vocals is a testament to his skill as a composer, the broad sonic spectrum of the record underlining his talent as a producer. Further contributions come from Tom Challenger (saxophone), Ruth Goller (double bass) and James Maddren (drums). Each piece of music will be accompanied by a video produced by Gibson, moving the concepts of the work beyond the sonic realm. The album will be released on 12” vinyl and digitally on 2nd Nov 2018, on Slowfoot Records.